The summer time is perfect for grilling while you can combine it with eating healthy. 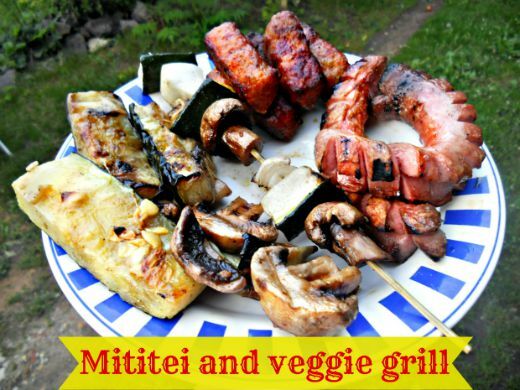 I love grilling veggies, it’s easy, healthy, smells and taste amazing! So go out and grill your fav vaggies! 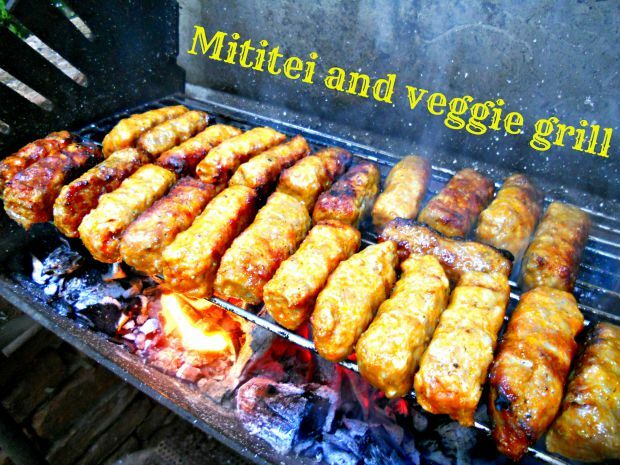 Okay, so you probably don’t know what the Mititei is, well it’s a traditional Romanian ground meat rolls, contains beef, pork, lamb and different kind of spices, every family makes it differently, but they’re really delicious, and you can make it on grill, frying disc or even in pan! Since I live only a few km from the Romanian border, we went out for some of them to the nearest Romanian city! Now that we had Mititei, we needed something for side dish. I decided on grilled veggies, I have to tell you, lately I eat less healthy food, thanks to the camps, so finally I could make a healthier decision. I made a mushroom-zucchini-onion shashlik, and grilled mushroom and zucchini individually too! Here are our shashliks, I think they looks delish, I had a large zucchini, so we cut it vertically into halves, then horizontally into thirds, then into thinner stripes. 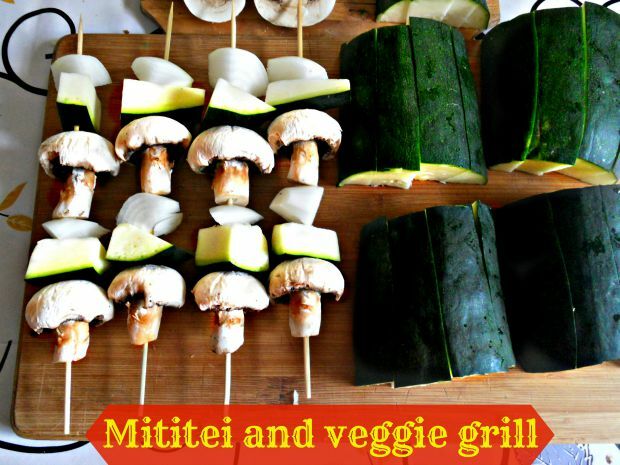 These are the Mititeii (it’s plural of the mititei), they looks yummy, don’t they? 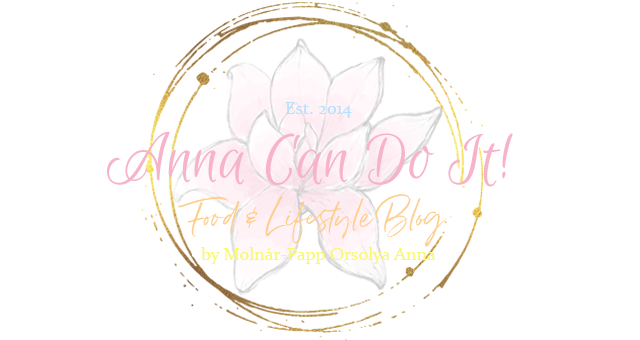 They’re done really quickly! Oh and they smells amazing, thanks to the mixture of the different meats and the spices, herbs! 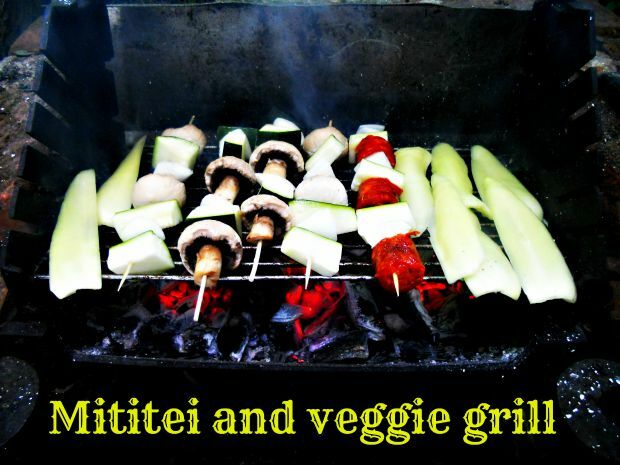 Oh, they tasted heavenly, if you can, go out and grill some veggies, you won’t mind it, trust me! For seasoning I only used salt and pepper and it was perfectly enough! What is your favorite grilled veggie, what seasoning do you use?